February 7, 2018 at 8:44a.m. Holy Family Parish, 2729 Center Road, Poland, will host a cavatelli dinner from 2:30 to 6 p.m. or until sold out. Menu includes cavatelli with homemade sauce, two meatballs, tossed salad, bread and butter, and dessert. Cost is $10. Smaller portion of cavatelli and one meatball is $5. Fresh homemade pasta fagioli is $6 a quart, and homemade pasta sauce is $5 a quart. Takeout only. Patrons can place order and remain in their cars where the dinners will be delivered to them. Bethel Lutheran Church, 425 Crestview Drive, Boardman, will host its dine-in or drive-through dinner from 3 to 6 p.m. . Menu includes a grilled ham and cheese panini with tomato soup for $5. Credit cards accepted. Calvary United Methodist Church, 12062 South Ave. Ext., North Lima, will have its monthly drive-through stuffed chicken breast dinner from 3 to 6 p.m. or until sold out. The dinner includes mashed potatoes and gravy, green beans and a brownie for $7. Drive up to the door, and dinners will be delivered to your car. Call 330-549-2588 to reserve dinners. Leave a name, phone number, the number of dinners wanted and approximate time of arrival. A percentage of the profits is used for local mission projects. Christ Our Savior Parish at Holy Trinity Church, 250 N. Bridge St., Struthers, will sell potato, cabbage and lekvar pirogi. The cost is $6 a dozen. There is a limit of three dozen cabbage pirogi while supplies last. Orders will be taken from 10 a.m. to noon Thursday and from 8 to 10 a.m. Friday at 330-755-0064. No walk-in orders will be accepted. Pickup will be from 11 a.m. to 1 p.m. Friday. Containers will be provided. Holy Trinity Ukrainian Catholic Church Hall, 526 W. Rayen Ave., will take orders for fresh potato and potato with kraut pirogi for $6 per dozen. No containers are necessary. Orders should be placed from 9 to 11 a.m. or until sold out Thursday and at 10:30 a.m. Friday, if available, by calling 330-746-9528. Pick up will be from 11 a.m. and 1 p.m. Friday. Lunches will be served Friday. St. Joseph the Provider Church, 633 Porter Ave., Campbell, will host Friday pirogi sales. Call in orders to 330-755-1316 Thursday and Friday from 8 a.m. to 11 a.m. with pickup from noon to 1:30 p.m. Friday. Choose potato, kraut or prune pirogi at $6 per dozen. St. Stanislaus Church, 430 Williamson Ave., Youngstown, is selling potato, kraut and cottage cheese pirogi. Advance orders will be taken at 330-747-3024 from 8 a.m. to noon Thursday and Friday. Pickup will be Friday from 8:30 a.m. to 1 p.m. The cost is $7 per dozen. Pirogi lunches will be served from 11 a.m. to 1 p.m. Walk-in orders are welcome. VFW Post 2799 Auxiliary, 3161 E. South Range Road, New Springfield, will offer a spaghetti dinner from 4 to 7 p.m. Menu includes spaghetti, meatballs, salad, Italian bread, and coffee or tea. Cost is $7 for adults and $3.50 for children under 12. VFW Col. Louis J. Campbell Post 3538, 157 Lowellville Road, Struthers, will serve spaghetti dinners from 4 to 7 p.m. Meals include meatballs, salad, bread and butter and coffee. Cost is $7.50 for adults and $4 for children under 8. Carryout orders are $8 and will be available only until 6 p.m. Containers will be provided. For information, call Jim at 330-755-3313. 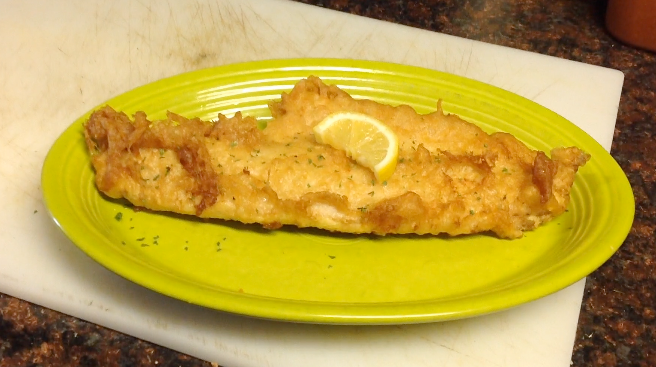 Beaver Creek Sportsman Club, 14480 Washingtonville Road, will offer beer-battered haddock fish or shrimp dinners from 4 to 7 p.m. until March 30. The cost for adults is $11 and $6 for children age 10 and under. Dinners include fresh-cut fries, coleslaw and choice of green beans or corn. An extra fillet (with dinner purchase) is $5 and shrimp a la carte (approximately 16 pieces) is $6. Soda, water, coffee and dessert will be available for $1. Holy Trinity Serbian Orthodox Church, 53 Laird Ave., Youngstown, will serve fish dinners from 3:30 to 7 p.m. at the church hall. The menu will consist of baked or fried Icelandic cod or fried haddock; sides of Spanish rice, haluski, macaroni and cheese, french fries or string beans (choose two); coleslaw or applesauce; bread and butter; and coffee or tea. The cost is $11 for adults and $6 for children. Dessert will be an additional $1.75. Containers will be provided for takeouts. Orders will be accepted from 11 a.m. to 6 p.m. by calling 330-792-1005. Penn State Shenango, 147 Shenango Ave., Sharon, Pa., will host its sixth annual THON spaghetti dinner fundraiser from 5 to 7 p.m. in the campus auditorium. The event is sponsored by Penn State Shenango benefitting THON and various local restaurants. All proceeds will support children with cancer. Dinner will include meatballs, salad, bread, cake and beverages. Takeout will be available. Tickets may be purchased in advance for $8 or $10 at the door. Children age 4 to 12 and seniors 60 and over can purchase tickets early for $6 or $8 at the door. Children 3 and under eat for free. For advanced ticket sales, stop in the Penn State Shenango student affairs office in Sharon Hall, room 103. A basket raffle will be available. Each purchased dinner ticket will include one free basket ticket. Other basket raffle tickets may be purchased at the event. If unable to attend, but would like to make a contribution to pediatric cancer, donate online at www.thon.org. Use Penn State Shenango’s code, 167. For information, contact 724-983-2836. St. Anne Ukrainian Catholic Church, 4310 Kirk Road, Austintown, will sell potato and cheese pirogi. To order, call 330-799-0084 from 8:30 a.m. to noon Thursday and from 7 a.m. to 2 p.m. Friday. Pickup will be from 10 a.m. to 3 p.m. Friday. Cost is $7 a dozen. No containers are necessary. Walk-ins are welcome. Use the side entrance. St. Paul the Apostle Church, 10143 Main St. New Middletown, will have its pirogi sale Friday. The cost is $6 per dozen. Potato, cabbage and cottage cheese pirogi are available. Phone orders will be taken Thursday and Friday from 8 to 11 am. Call 330-542-3525 to order. Pick up Friday from noon to 3 p.m.
Brookfield United Methodist Church will host its spaghetti dinner. Takeout is available at 3:30 p.m. and sit-down is at 4 p.m. Cost is $9 for adults and $4.50 for children age 6 to 12. Children age 5 and under eat free. Celebrate Poland Committee will host a pancake breakfast and basket raffle from 9 a.m. to noon at Poland High School, 3199 Dobbins Road. Breakfast includes pancakes, sausage, beverages and a special valentine’s treat. This is the only fundraiser for the nonprofit Celebrate Poland event. Proceeds pay for the fireworks, entertainment, and all other expenses of this annual community festival. If unable to attend, donations may be sent to Celebrate Poland, P.O. Box 14585, Poland, OH 44514. Central Christian Church, 218 Meadowbrook Road, Hermitage, Pa., will host a free community breakfast from 9 to 11 a.m. Menu includes french toast, sausage, hash browns, eggs, breads, pastries, coffee and juice. For information, call the church office at 724-347-1703. Fowler United Methodist Church, 3426 state Route 193, at the corner of state Route 305, will serve a chicken-pie dinner from 3:30 to 6 p.m. Cost is $10 for adults, $5 for children six to 12, and children age 5 and under eat for free. The menu includes potatoes, green beans, applesauce, coleslaw, bread, beverage and dessert. Takeouts will be available. For information, call Donna at 330-638-5189. Good Hope Lutheran Church, 12030 Market St., North Lima, will host its annual beef tip and noodle dinner from 4 to 7 p.m. . Meal includes tossed salad, bread, beverage, cherry pie and ice cream. Cost is $9 for adults, $4 for children age 6 to 12 and free for children under 6. For information or tickets, call 330-549-2406. Rich Center for Autism will host a pancake breakfast from 9 a.m. to noon at Warren Harding High School Cafetorium, 860 Elm Road NE, Warren. Menu includes pancakes, scrambled eggs, sausage and local, homemade, maple syrup. Cost is $8 and children age 2 and under eat for free. There will be 50-50 and basket raffles. Donating an item to the Raider Pantry earns a free basket raffle ticket. For information, call Mona at 330-941-1532 or email to mbozick@ysu.edu. Tickets available for purchase at http://squareup.com/store/the-rich-center-for-autism/ or at www.richcenter.org. Sharon First United Methodist Church, 237 W. Silver St., will host a chicken pie dinner from 4 to 7 p.m. Cost is $10 for adults and $5 for children 12 and under. Takeouts are available. Smith Corners United Methodist Church, 3000 S. Canfield Niles Road, will host a free pancake, sausage and egg breakfast from 9 to 11 a.m. . Donations will be accepted for World Service Projects. The church also will host a free Supper at the Corner from 4:30 to 6 p.m. Feb. 15. Donations accepted to continue this program. Our Lady of Mount Carmel Basilica, 343 Via Mount Carmel, Youngstown, will sponsor a spaghetti dinner from 11 a.m. to 4 p.m. Sunday at the church hall. Cost is $7.50 for adults and $5 for children. All carryouts are $7.50; containers are 75 cents or you can provide your own. St. Monica Guild will sell pies during the dinner hour. Our Lady of Mount Carmel Church, 381 Robbins Ave., Niles, will host its annual Ash Wednesday pizza sale from 11 a.m. to 4 p.m. Feb. 14. All products are made with homemade dough. Brier Hill pizza will be $6 and potato, spinach and combo calzones are $10. Hot spinach, spinach with raisins, or hot combos also will be offered. To place an order, call 330-652-2811 by Sunday. Leave your name, telephone number, and pick-up time along with your order. Call 330-727-7843 with questions. St. Brendan’s Maxwell Hall, 2800 Oakwood Ave., Youngstown will host a dine-in or take-out Mardi Gras celebration and fish dinner from 11:30 a.m. to 2 p.m. Baked, fried and beer-battered fish will be served, along with haluski, macaroni and cheese or fries with coleslaw and desserts. Jambalaya also will be available. Beverages will be available to purchase. Cost of dinner is $11 for adults and $6 for children. St. John the Baptist Catholic Church Cultural Society, 159 Reed Ave., Campbell, is taking orders for cabbage or cottage cheese haluski at $6 per quart for Ash Wednesday. Orders can be called in today through Monday, by calling St. John Church Hall at 330-755-0036 or Terry at 330-755-3540. Leave a name, phone number, choice of cabbage or cottage cheese haluski and how many quarts. Pickup will take place from 4 to 5:30 p.m. Tuesday and 10 a.m. to noon next Wednesday at the church hall. Holy Apostles Parish, St. Stephen of Hungary Church and Sts. Peter and Paul Croatian Church are taking orders for stuffed cabbage. Cost is $25 per dozen and cabbage is packaged in a foil pan ready to reheat or freeze. Orders are due by Monday by calling Dorothy at 330-783-2252. Pickup is from 10:30 a.m. to 12:30 p.m. Feb. 18 in the church social hall, 854 Wilson Ave., Youngstown. Queen of the Holy Rosary Church, 291 Scoville Drive, Vienna, is taking orders for Ash Wednesday potato pirogi sale. Cost is $6 per dozen. To order, call 330-856-4204 from 9 a.m. to 3 p.m. Monday through Friday. Deadline for orders is Friday. Pickup is from noon to 5 p.m. Feb. 14. First Presbyterian Church of Girard, 890 Churchill-Hubbard Road, will sell chili, chicken noodle soup, stuffed pepper soup, homemade pepperoni rolls, fresh-baked bread and homemade sticky buns. Soup is $5 per quart and $3 per pint. Pepperoni rolls are $8 for a large and $2.50 for a single. Bread is $2 for a large loaf and $1.50 for a small loaf. Sticky buns are four for $2.50. Orders must be placed by calling 330-759-1460. Deadline for orders is Feb. 14. After deadline, items will be only as available. Pickup will take place at the church from 3 to 4:30 p.m. Feb. 17. Kinsman Presbyterian Church, 6383 Church St. (across from the library), will host a roast beef dinner from noon to 2 p.m. Feb. 18. The dinner is being sponsored by the Men’s Organization with proceeds to benefit mission projects. Tickets will be sold at the door and are $8 for adults and $4 for children under 12. For information, call 330-876-4485. St. Brendan Church, 144 N. Schenley Ave., will host fish sandwich luncheons, takeout only, and fish dinners, dine in or takeout, Fridays, Feb. 16 through March 23 in Maxwell Hall. Luncheon will take place from 11 a.m. to 1 p.m. and includes a sandwich and one side for $7. Dinners are 4 to 7 p.m. and include baked, fried, Cajun or beer-battered fish plus one side: french fries, macaroni and cheese, haluski or roasted potatoes. Dinner also includes coleslaw or applesauce and bread, butter and dessert. Cost for adults is $11 and $6 for children. For information, call 330-792-3683. St. Lucy Church, 394 Tenney Ave., Campbell, will serve fish dinners from 4 to 7 p.m. Fridays during Lent beginning Feb. 16 at the banquet hall. The cost is $9 for adults, $8.50 for those over 65, and $4.50 for children under 12. Takeout orders are $9. A family special is three dinners for $25. St. Maron Church, 1555 S. Meridian Road, Youngstown, will host a fish fry from 3 to 7 p.m. every Friday during Lent, Feb. 16 through March 23. Most dinners, including jumbo haddock, are $10. Tuna is $13. Dinners come with one side, coleslaw, roll, and dessert. Sides include pirogis, french fries, macaroni and cheese, and majadra (lentils, rice and caramelized onions). Call 330-792-2371 for information. Smith Corners United Methodist Church, 3000 S. Canfield Niles Road, Austintown, will host Supper at the Corner from 4:30 to 6 p.m. Feb. 15. The supper is free to the community. Donations accepted to continue this program. VFW Post 2799 Auxiliary, 3161 E. South Range Road, New Springfield, will offer a homestyle breakfast from 8 a.m. to noon Feb. 18. Cost is $6 for adults and $3.50 for children under 12. Menu includes eggs, hash browns, sausage or ham, pancakes or freedom toast, toast, coffee and tea. A listing of food sales and dinners is published Wednesday. Please submit information for takeout and sit-down dinners to the Society Department before noon Monday. October 11, 2017 8:28 a.m.
September 23, 2015 12:06 p.m.